I’m always a big fan of seafood. For me, it’s a great protein source and healthy to consume. My particular favourites have always been sushi and sashimi from Japan. 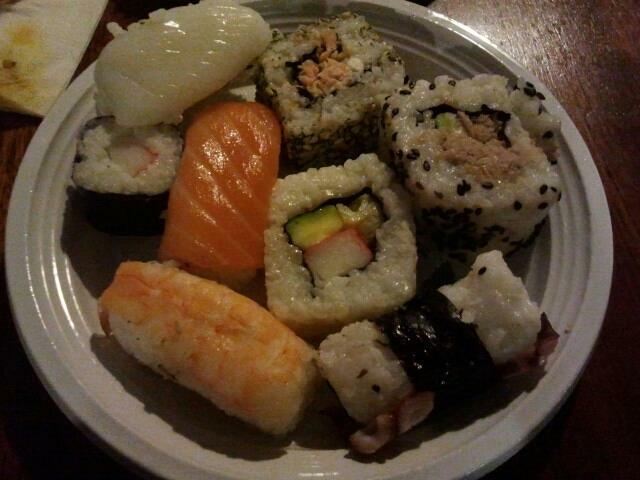 I just couldn’t resist to refuse any invitation to go on any sushi dinner with friends or families. And most people know that raw fish could be very healthy and beneficial to our body when they’re consumed in the right way. After seeing this news, I was wondering what went wrong. Maybe it could be the choice of restaurant as he went to non-credible restaurants where the fish may not be fresh as tapeworms contaminate raw meat like pork and fish. So how to deal with it? Let’s start with these steps. Sometimes it could cost more when we go to famous but reliable sushi places. However, isn’t health the most important thing in our life? Some say money is as everything needs money but well, this thing called health can’t be bought with money unfortunately. So, make sure their fish and meat are fresh and approved for healthy standard as reliable restaurants. You don’t want to risk your health but you also don’t want to skip your favourite dish. So this could be the first simple step to consider. I know that it’s spicy and might not be a “happy moment” for you who don’t like spice and chili as wasabi is a particular one which sensation could reach the nose and ears. However, for health and for sushi, why not ? Actually, I’m also not a big wasabi lover, no matter I’m a big fan of very spicy food. The weird sensation of eating wasabi is what turns my will down. However, to keep more safety, I should, and you should too.